I love Mars energy. When it takes hold we stride through life, crossing off that to-do list in a flash. Maybe it’s the Aries in me or my natal Mars being in Scorpio, it’s home sign, but Mars energy is radiating all through me. The daily pace has suddenly picked up and where only a few weeks ago I seemed to be wandering aimlessly through the day now I have to write a plan and prioritize what I can achieve. And given Mars is the action planet, motivating and energizing the other planets as he moves around the horoscope it’s not surprising. That’s what he’s all about. He is the warrior. 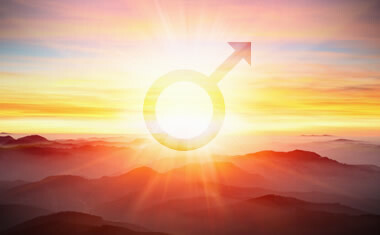 Mars moved into Scorpio back in late August and brought with him a strong passionate energy of change that’s been building ever since. Of course there are always other aspects contributing to our daily energy and as a Libra Rising, for me there is also true sense of releasing the chains with these last days of Saturn in Libra. The challenges that transit has brought since October 2009 is a whole other story. And then there’s other personal changes I’ve been making which are also contributing to the upswing. The lingering affects of my ThetaHealing course are still noticeable with my intuitive abilities ever increasing and in particular I’ve been putting special energy into positive daily affirmations after a difficult June and July. But no matter where it’s coming from, I am manifesting this life through my own thoughts and actions and with 10 days remaining of the added Mars in Scorpio boost, all my positive energy will be going into keeping the momentum flowing.